Holy smokes is this a beauty! Fully brilliant, spot-free, haze-free surfaces with some of the deepest, blackest mirrors I’ve seen on a Lincoln! 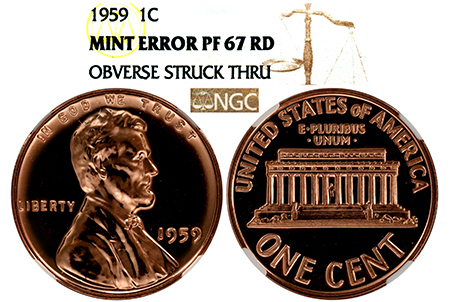 This rare Mint Error has the obverse struck through appearing at the crown of Lincoln’s head and higher. An absolutely stunning Lincoln with a unique and rare Mint Error!